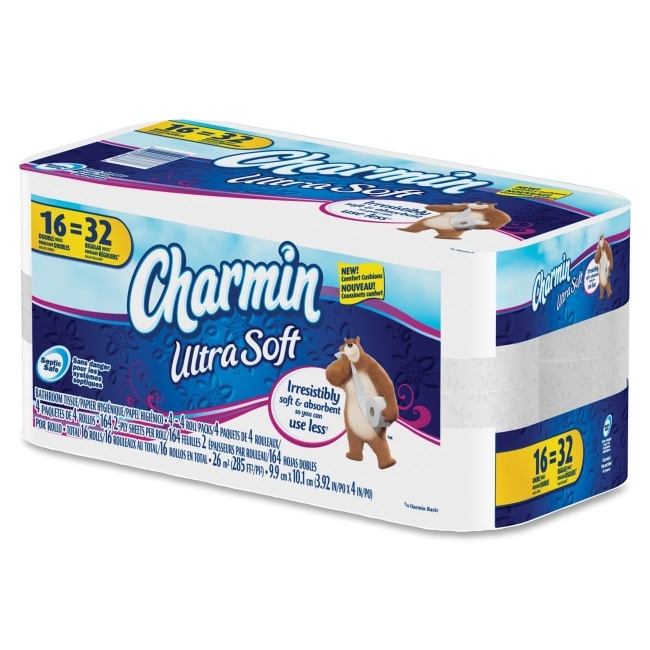 Full Size: 3.92" x 4"
Charmin Ultra-Soft Bathroom Tissue is extra strong, absorbent and squeezably soft. Bathroom tissue is safe for sewer and septic systems. Double-roll size lets you change the rolls less often. Each two-ply sheet measures 3.92" x 4". Each roll fits in standard household, toilet roll dispensers.